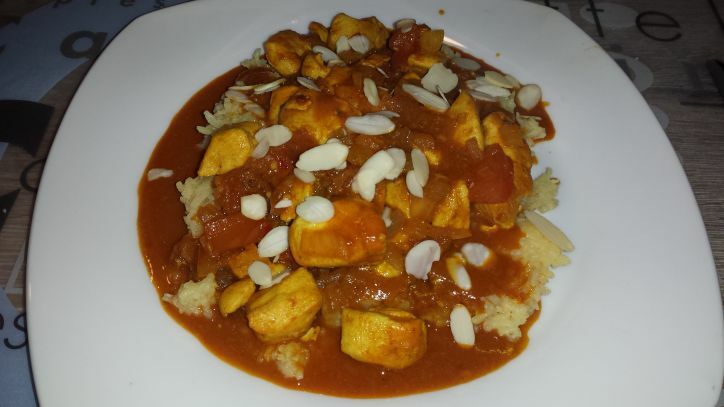 Review of Knorr Chicken Tikka Masala! While doing the shopping with my partner, we were wanting to pick up another box meal. These box meals usually include spices, rice and pasta, depending on the type of meal. The normal box meals we would pick up various between chicken siam and chicken tandoori. Instead, we decided to go for something different and new to hopefully “spice” things up. Knorr Chicken Tikka Masala! Unlike the other boxes, the box showed all the ingredients provided which made it look really cool. We decided to give it a try. 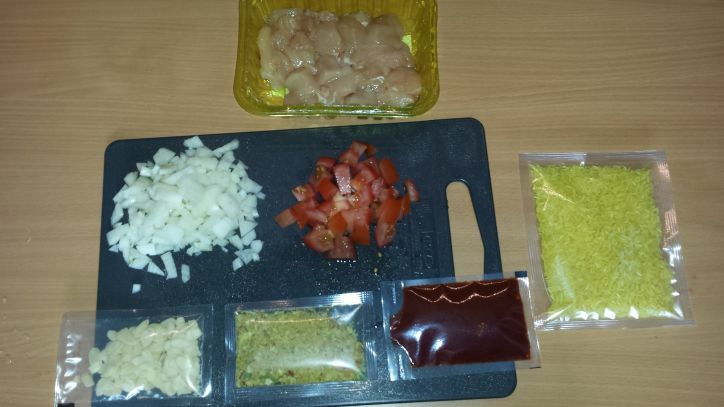 So here is my review and method for the Knorr Chicken Tikka Masala box! 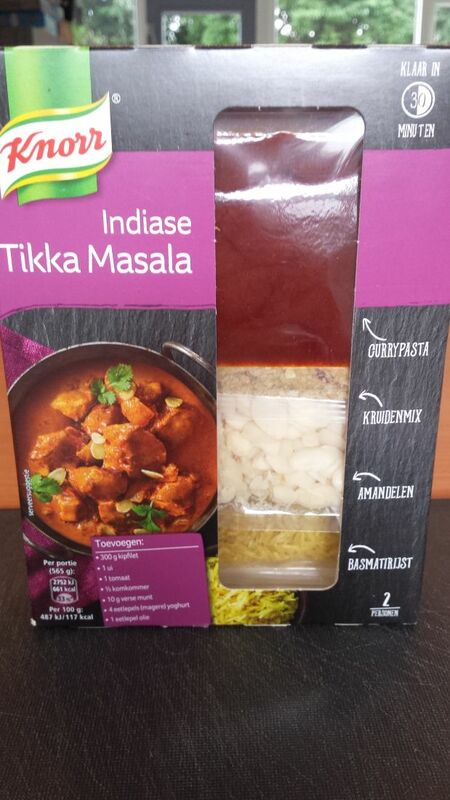 All of the instructions on how to create the chicken tikka masala was written clearly on the back of the box. The box serves 2 people easily. The box ingredients lined with the others. The other ingredients that the recipe requires are as follows. We always pick up what we need for box meals on the day of cooking them to make sure they are fresh, especially when it comes to vegetables. 1 tablespoon magere yoghurt. Low fat yoghurt would work for this if you cannot find magere yoghurt! I say that these are not required because these make up a side dressing to go alongside the curry. We did make it, but did not eat it all that much. We also did not add mint to it because it was expensive and came in a big bag. I would suggest that this would be optional, but if you want to go ahead and make it, do it! To create the chicken tikka masala straight from the box, the instructions are super simple and easy to follow. These instructions are straight from the box. I will talk about what I thought in my thoughts section just below! Put the rice into water and cook for 13 minute until tender. Once cooked, drain and place to the side. 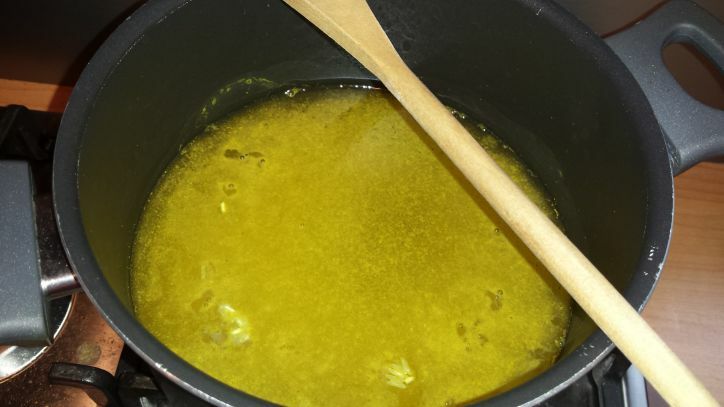 In a pan or wok, put 1 tablespoon of oil in and heat it up. Add the chicken and cook through. 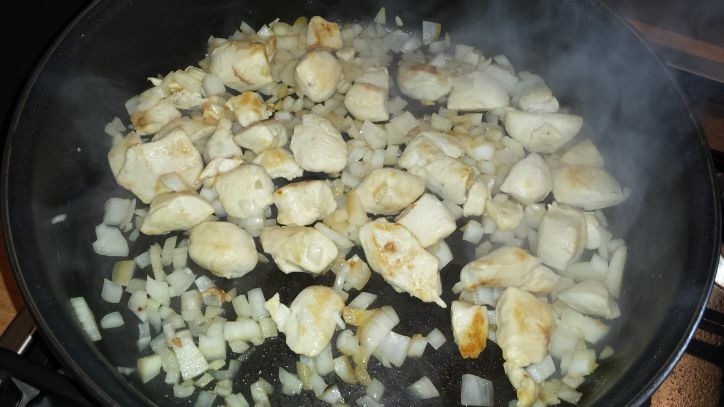 Add the onions to the chicken and cook for a further 3 to 4 minute, or until the onions are translucent. 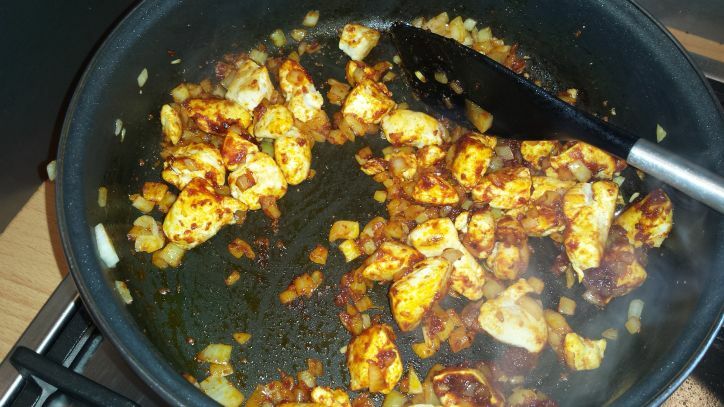 Squeeze the curry paste into the pan with the chicken and onions. Stir to combine and cook off for 1 minute. 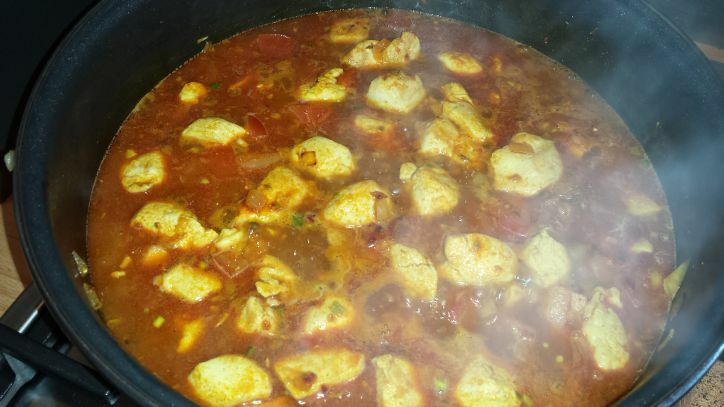 Pour 200ml of water, followed by the spice mix and tomatoes into the pan and let simmer for 6-7 minutes. 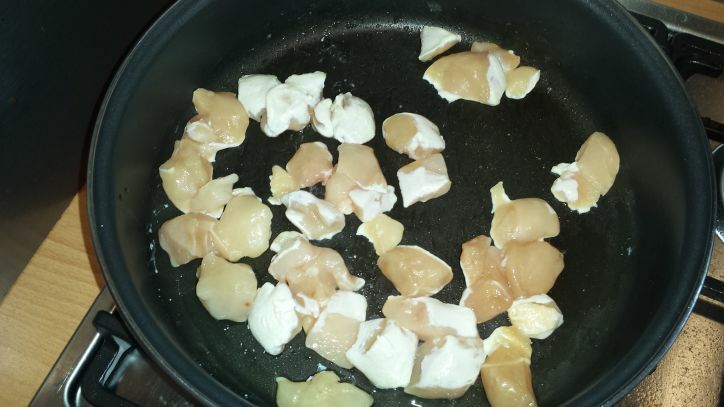 Add a tablespoon of magere yoghurt to the pan and cook off. Take off heat and plate up. Thoughts about the final product. The final plate looked delicious. The only thing I would say though about it was it was really watery. My partner pointed this out and I agree with him. 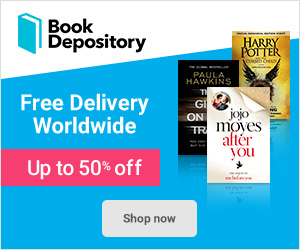 Whenever I try a new recipe, be it from a box or a book, I always do it 100% the same. This allows for me to see what I would change to make the next result better. I would love to create this meal again, but next time I would add a little bit of water at a time to make sure it does not become as runny. Maybe 100 to 150ml of water next time? No idea, will just have to wait and see! I was a little bit disappointed too with how little heat there was to the dish. It might just be a thing here in the Netherlands, but I have still to have a curry that is more spicy than mild. It’s not really a bad thing per say, but I expected more heat to come from a chicken tikka masala. Maybe next time I will also add my own spices for added heat? Maybe some chopped chili? Overall, it was a delicious dinner and I ate it all, which is surprising for me! I would recommend this box meal to people who would like a simple and tasty curry. Have you ever had this box meal before? Or any box meal in general? If so what do you think of them, and what is your favorite? Let me know! I’m going to try this tonight but surely the chicken was dry with you cooking it for so long? Next Next post: Garden Shed is slowly coming together!